Elizabeth Olsen has never been a fan of comic books. 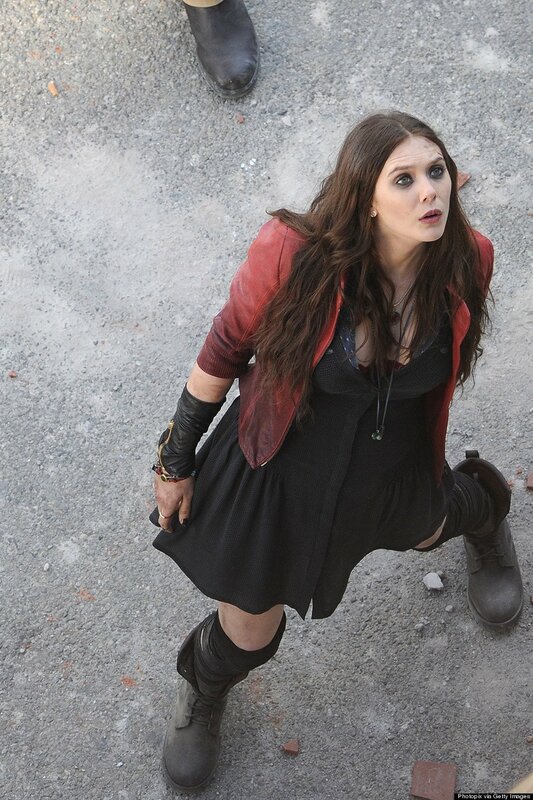 The 24-year-old actress plays Scarlet Witch in the upcoming superhero movie The Avengers: Age of Ultron and, although she admits she's never really been one to read a comics, she insists she had heard of her alter-ego before she was handed the role. “I'm not much of a comic book person. I like comic book movies but my brother [Trent, a screenwriter] is the comic book guy. If I'm having a meeting, I ask my brother to tell me about it. But of course I'd seen The Avengers! I've seen all the Marvel movies. I love those movies. Marvel keep the fantastical qualities but create something as realistic as they can make for this world. There's something genuinely broken. Everyone has their Achilles' heel,” she said. The screen star admits she doesn't know how she managed to secure herself the role in the Marvel movie, but doesn't think the director, Joss Whedon, hired her to wear racy outfits like the ones in the comic. 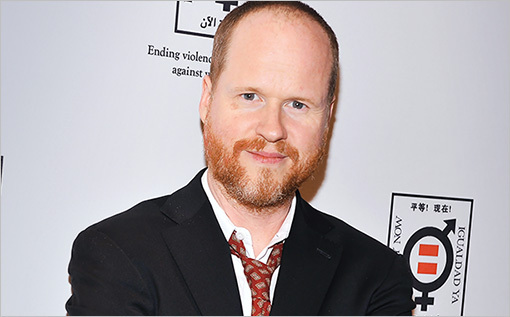 - Buffy the Vampire Slayer creator and The Avengers director Joss Whedon shares his frustrations regarding the lack of women superheroes in today's films. Despite Joss Whedon's initial hesitation at tackling the follow-up to The Avengers, Disney was (thankfully) able to convince him to reevaluate his desire to pursue other projects instead of continuing with the Marvel project. Considering the fact that the superhero film took in more than $1.4 billion worldwide at the box office, there was no question as to whether or not Disney was going to ask the director - who also penned the script - to return for the sequel. Disney Chariman Bob Iger not only confirmed Whedon's sequel gig but also revealed that Whedon will work on developing a “Marvel-based” television show for ABC, which would mark the first time a Whedon series would air on the network. There's no word yet as to when the project is expected to debut. The Avengers 2 is expected to begin production after the release of the superheroes' individual films, which includes Iron Man 3 (2013), Thor: The Dark World (2013), and Captain America: The Winter Soldier (2014). As Joss Whedon's Much Ado About Nothing draws closer to its official premiere at the Toronto International Film Festival, fans are finally given a few stills of the black and white Shakespeare adaptation. The photos (more seen after the jump) offer up a Wheon reunion of sorts, bringing together alums from Whedon's previous projects: Amy Acker (Angel), Alexis Denisof (Angel), Nathan Fillion (Firefly), Fran Kranz (Dollhouse), Tom Lenk (Buffy the Vampire Slayer), and Clark Gregg (The Avengers). No word yet as to when the film hits theaters nationwide. Tom Hiddleston thought he was “rubbish” in Thor. The 31-year-old star feels “very lucky” that director Joss Whedon enjoyed his performance as Thor's (Chris Hemsworth) brother Loki in the Kenneth Branagh-helmed superhero movie, so much so he wanted him to play a big part in The Avengers. The 47-year-old director cast Scarlett Johansson in the superhero movie - which sees her reprise her role of Natasha Romanoff / Black Widow from Iron Man 2 - to avoid the film being dominated by its male stars Robert Downey Jr., Chris Evans, Chris Hemsworth and Mark Ruffalo. 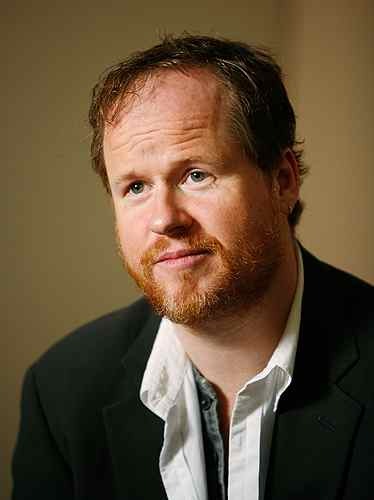 Joss Whedon thinks The Avengers fans should feel “exhausted” when they watch the movie. The 47-year-old director compared the superhero film to his latest horror-comedy motion picture Cabin in the Woods, and joked he will be glad when he no longer has to film the movie. 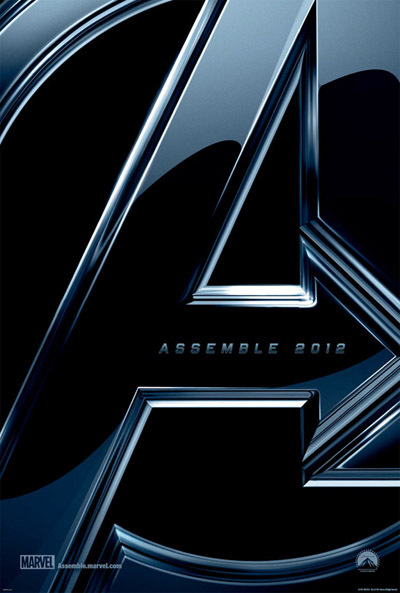 Robert Downey Jr., Chris Hemsworth, Chris Evans, Scarlett Johansson, Mark Ruffalo, Tom Hiddleston and Samuel L. Jackson all star in the movie, which tells the story of Nick Fury (Samuel) and a special team who form a group of super humans called The Avengers to do battle with Loki (Tom) in a bid to save Earth. Can't wait for the epic Joss Whedon-directed Avengers movie? Yeah, we can't either. Thankfully for all of our sakes, someone in Cleveland happened to film an aerial view of a fighting scene with Thor Chris Hemsworth and Captain America Chris Evans. Check it out above! The Avengers is due in theaters May 4, 2012.